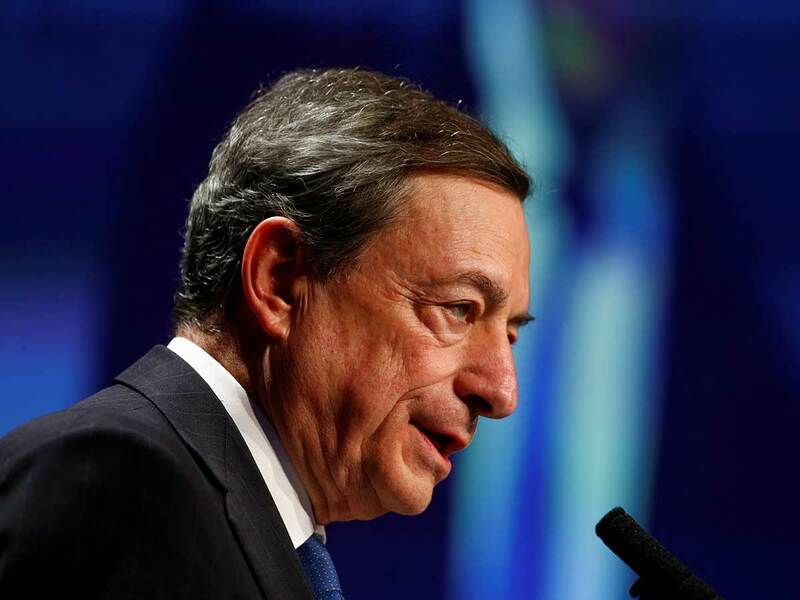 Mario Draghi’s grilling by European lawmakers on Monday is the highlight of a critical few days for the European Central Bank (ECB) as the president considers whether more stimulus is needed to overcome the Euro-area slowdown. Less than three weeks before their final meeting of the year, ECB officials are working on economic projections that will help determine whether their €2.6 trillion (Dh10.83 trillion) bond-buying programme should be capped as planned. The latest signs — including a German contraction, a budget standoff in Italy, and heightened global trade tensions — are testing their conviction that the expansion is intact. Investors are on the lookout for any sign that bond purchases will be extended or alternative measures such as more long-term loans to banks are on the agenda. Here are the events to watch in the days until the December 13 decision. Draghi will be in Brussels a day after the city hosts a summit to sign off on a Brexit deal for the United Kingdom’s divorce from the European Union. That would clear at least one of the uncertainties clouding the fragile economic outlook. In the hours before he’s quizzed by lawmakers, Germany’s Ifo index of business confidence should give an insight into how trade tensions are affecting the region’s biggest economy. Data on Friday showed the weakest private-sector growth in almost four years. Draghi’s top lieutenants are also scheduled to speak: Peter Praet in Frankfurt and Benoit Coeure in Vienna. Italy — the key source of political and market tension within the euro area as it fights with the EU over its budget — reports confidence data on Tuesday. A bigger test comes on Thursday when it holds a bond auction, a week after a sale drew unexpectedly weak demand from retail investors. The ECB will publish its twice-yearly Financial Stability Review the same day, and Bank of France Governor Francois Villeroy de Galhau will speak in Rome. The week rounds off with the latest reading of euro-zone inflation, the final one before the policy decision. The ECB’s Governing Council will hold a non-monetary policy meeting on December 5 — though it would surprise no one if monetary matters arose. Italian purchasing managers indexes will be published the same day, and Draghi will open a colloquium on banking. Central bankers then go into a one-week quiet period, but important data will keep coming in. Germany reports factory orders and industrial output, and the Euro zone gets a breakdown of third-quarter GDP. German investor sentiment and Euro-area industrial output will be the last important figures before the Governing Council publishes its decision at 1:45pm Frankfurt time, on December 13.